Most of us know about the basic text formats which in earlier years were just TXT or Doc. However, over the years we have a new player in the field, by name PDF. PDF files or Portable Document Format is a feature rich text document format, which takes the text taking the whole scenario to a new level. PDF is perhaps the only operating system and device independent format, which means that you can read and use it on any device worth it’s salt. Also, you can easily use PDF’s to share between platforms and users, without losing out on content or the way you arrange them. Thus, PDF is here to stay. In the discussion below we will see how PDF file is the base text file format for ages to come. 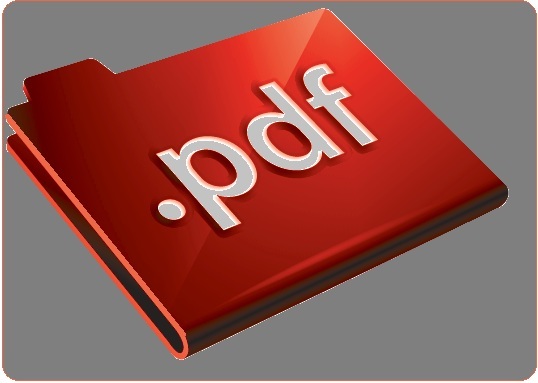 You may find PDF to be the best text file you will ever use after you go through this article. It was in 1990’s that PDF first came into the market. However, PDF came at a time when there were major players like DjVu, Common Ground Digital Paper, Farallon Replica and many others. In addition to this, Adobe’s own PostScript format was there for users. A user was having multiple options to choose from and PDF was just the start. Thus, Adobe Systems brought PDF format to be freely available for all the users by 1993. However, Adobe still to this day has some exclusive features, which are not available for regular users. Some of the features which were not open for all was the way PDF files could be edited. You still have to use Adobe’s own text editing tool, Acrobat Reader to edit the PDF files. Having said that, you can use this tool as an plug-in for multiple document editors like Google Docs, MS Word, Calibre and many others. Adobe systems usually makes a PDF code within Postscript framework. It works in a way to store graphics, or fonts which the document has in itself. All these factors are bundled into on single file to be compatible across many platforms. However, Postscript format is less than PDF in many ways. A user can change the PDF file and also see that the code which comes with also changes with it. Therefore, PDF ensures that every change that you put into the file is shown properly all through it. In addition to this, in PDF you can arrange the the pages in an orderly manner. This way you can use the jump navigation feature in PDF, to get to a particular page easily. A PDF displays the same content and layout no matter which operating system you use. This goes in the case of any devices or software applications you use. Therefore, you can use PDF almost anywhere, without worrying about any damage to the content inside it. As the graphical content is drawn over the PDF code, you can never lose out on animations, vector images, and other figures. 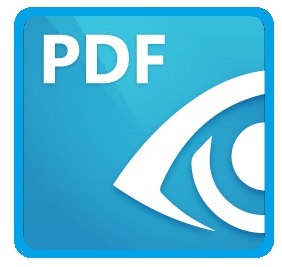 PDFs are easy to create, read and use by everyone. The only text file format you’ll ever need is PDF. This is so because you can achieve almost anything you want with this format. Specifically regarding text formats, graphics inclusion, alignments, and comments. PDF file gives excellent options to share and export the file to your contacts with just one click. Also, if you are someone who worries about saving them or rather losing your PDF’s, you can do so with Adobe cloud servers as well. Here you can select an Acrobat version from the Compatibility drop-down menu. Choose a version equal to or lower than the recipients’ version of Acrobat or Reader. This will make your recipient use the file even if he has smaller Adobe version. Encrypts the document and the document metadata. If this option is selected, search engines cannot access the document metadata. Encrypt All Document Contents Except Metadata is for the contents of a document but still allows search engines access to the document metadata. Encrypt Only File Attachments requires a password to open file attachments. Acrobat allows you to make a number of changes to the image once it is placed. When the Touch-up Object tool is active, right-click to see the following options for your placed image: Flip, Rotate, Create Artefact, Move, Scale, Crop, View and Edit Metadata etc. The PDF file format always allows you to include various types of content like text, images, videos, audio files, 3D models, interactive fields, hyperlinks. You can combine these elements inside the PDF files. Thus, you can easily use pdf format and organize as a report, a presentation or a portfolio. Getting your data into a 3D format or Augmenting and Exporting the date within a period, PDF is your solution for all things. Now in addition to this, most people use PDF’s for the direct copy of the scanned material. Rather than storing them as BMP image file, many users prefer PDF format as it uses OCR technology, which allows you to highlight and insert comments on the file. From the start, Adobe brought out PDF to maintain the idea of a universal text format. They saw the need for a file which a user can open and view on any platform or device. This is how PDF was brought out. However, in this the makers for PDF made the file way too close ended, so much so that an average user fails to edit or change the contents of it. This makes PDF not so easy to edit and form. As a user, you cannot copy the content, or include any other matter once you save it as PDF. You get PDF support for Windows and Mac operating systems. However, On the other hand, you may fail to get support on Linux and Unix. Users in these websites thereby cannot create or view PDF files. At this point, users can use perhaps other text formats like HTML or RTF across all the other platforms. Though the main idea behind launching PDF files was to make the file compatible with almost any device, over the years this has undergone a change. Linux, as it is a crowd coded campaign, fails to unlock Adobe PDF files. Files in PDF format can prove difficult to read on a computer screen. PDF files are laid out in standard A4 or A3 format pages, which is great for printing, but most computer screens fall somewhere between a 4:3 and 16:9 aspect ratio, which means you spend a lot of time scrolling through the pages when viewing them on the screen. Also, PDF side-by-side page layouts are not much help when it comes to seeing them on display screens. You may try to zoom-in and scroll down to further view the PDF file, which might not be that easy as well. Also, in machines running on Android, Windows operating systems, you may not be able to open and read PDF files on them. You shall have to get a separate application for it. More often than not, the best tool to open PDF files is the that Adobe provides, regarding Acrobat Reader or Adobe PDF application. Usually PDF are the format that is used to save a scan copy from a print. If you are using a printer and scanner, within Windows, you will see that the scans come in two options, that is image or PDF. The main benefit you have when you go for saving a scan in PDF is that you can comment, highlight the scans. However, this is not always advisable, as you end up ruining the PDF file with all the colours and annotations. However, you will have better control over the content when you use Native PDF’s. As they are physically typed, you can show much flexibility in formatting the copy as per your need. Most of the users of PDF files usually turn to Adobe Acrobat Reader for all their PDF needs. Which perhaps is the best way to go about it. After all, Acrobat Reader is provided by Adobe Systems as a support. Acrobat Reader is also a useful plug-in, which helps you open the PDF files, not only in the reader but also other text tools like Docs, Libre Office, Microsoft Words, etc. Since Adobe created the PDF standard, it comes as no surprise that and its program is certainly the most popular PDF reader out there. It’s completely okay to use it, but I find it to be a somewhat bloated program with lots of features that you may never need or want to use. 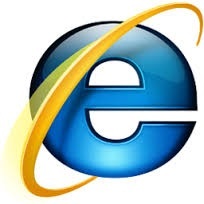 Internet Explorer: Within Internet Explorer ( Windows 2000 and above ) you can automatically get the PDF file to open the browser window. This is important as you don’t have to close the window and open yet another app for viewing the PDF. Instead, you can tweak the settings to open PDF in a browser by going to the settings. Open up Adobe Reader from your programs, or you can find it in your start menu. Once PDF file is open, click on Adobe’s Edit menu, and then to the Preferences menu item. On the left of the resulting Preferences, a dialog box is a long list of categories; click on Internet options and select browser heading. Check, or uncheck, the ‘Display PDF in Browser’ as you wish. 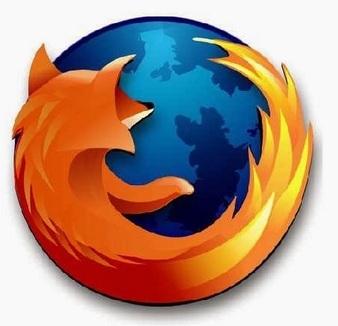 FireFox Browser: When using FireFox it’s easiest to control what happens in Firefox itself. Click on FireFox’s Tools menu, Options menu item, and then in the resulting Options dialog, the Applications tab. Near the top, if you have Adobe Acrobat installed, you’ll see “Adobe Acrobat document.” Click on the drop down menu to its left. Here you will find two options which will allow you to open PDF files in a different location altogether. Click on “Use Adobe Reader” if you want PDFs to be displayed outside of the browser, or “Use Adobe Acrobat (in Firefox)” if you want PDFs to be displayed within the browser. Chrome comes out with an inbuilt Adobe PDF support. However, not many are aware that they can Google Chrome as a default tool for opening PDF files, in place of Adobe Reader software. To do so, the steps are very simple. Download a PDF file on to your system, and right click on it. In the options, hover onto Open with an option, and from the list that appears select Google Chrome. 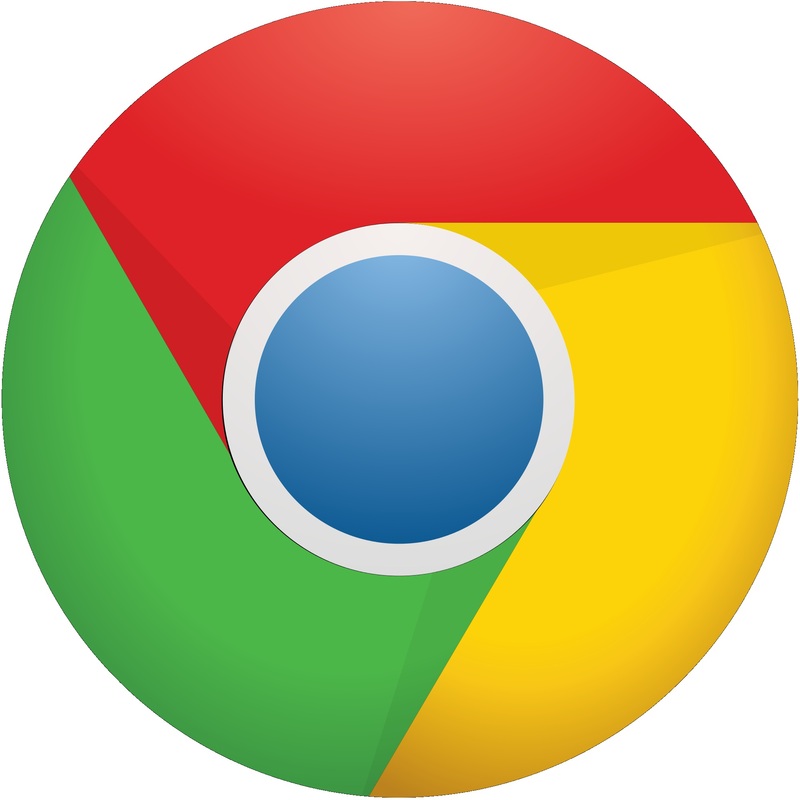 In case you don’t find Google Chrome in the coming list, you may have to browse to programs to find Chrome. Once set, the next time you double-click to access the PDF file, you will open it in Chrome. 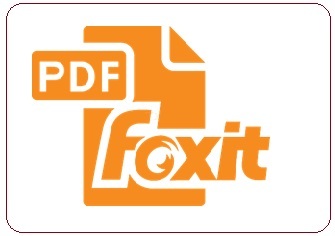 Foxit may be one of the most famous names that come to mind when people think about alternative PDF readers. This tool, Foxit was one of the first option PDF readers to gain steam, and it’s still a great option today. Unfortunately, when you try to install Foxit, the software package attempts to install a toolbar in your web browser and change its homepage. However, on the up side, as opposed to some of the more lightweight option, Foxit has built-in support for annotations, highlights, and other PDF-editing features. Thus, Foxit becomes a profoundly full featured alternative to Adobe Reader itself. Sumatra PDF stands out as the most lightweight PDF reader available. Lightweight implies that the software comes in a tiny package exec file. It’s very lightweight, has a simple interface, and is also available as a portable app. Thus, you can take the tool with you anywhere via a pen drive or CD or any other means. Considering, that it is very light weight, It doesn’t have any editing options or other advanced features. For that you might still need Acrobat reader. Sumatra is just a window that loads extremely quickly and displays PDFs. It’s also packed with keyboard shortcuts, making it even more ideal for quickly reading PDFs. As it were, Sumatra also supports other types of files, including eBooks in ePub and Mobi format. You may also use this tool for reading comic books in CBZ and CBR formats. Nitro stands out among free PDF readers with some unique features, as well as a slick interface. However, the reader looks somewhat like Microsoft’s ribbon interface in it’s usage. 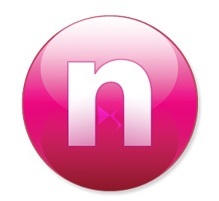 The unique features of Nitro are that it lets you sign your PDF file, with your signature. You can capture a digital image using Nitro’s QuickSign feature. With Nitro, you can also convert files from Microsoft Word and other formats to PDF. Also, you can use it to convert PDF to text format or just extract images from PDF Files. PDF-XChange Viewer is a fast application, although it isn’t as lightweight as some of the other available PDF readers. It’s got excellent support for editing and annotations, although more complex edits will require a more full-featured, paid application like Adobe Acrobat. Viewing PDFs with PDF-XChange Viewer is fast and smooth – you can skip through and back pages, view documents in a variety of layouts, and search and find pages and keywords seamlessly. PDF-XChange Viewer’s toolbars are totally customizable, and there is a considerable range of configuration options. 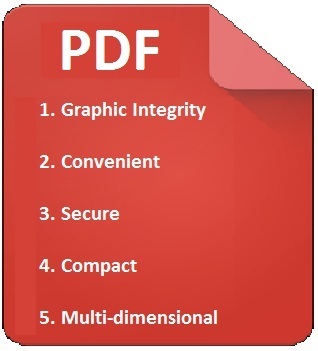 With PDF-XChanger, you will have multiple options to view PDF files in, owing to its intuitive design and ease of display. Adobe Reader is still the standard PDF reader, although it’s not the fastest. While most PDF documents work perfectly fine in other PDF readers, now and then a document will only cooperate in Adobe Reader. 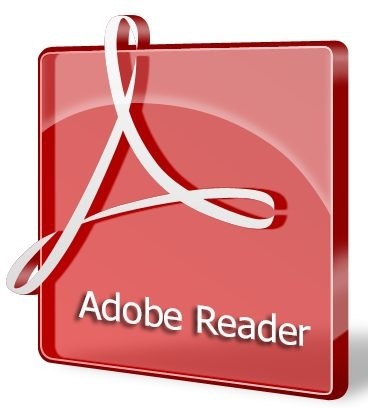 If you prefer another PDF reader, don’t be surprised if you have to occasionally fire up Adobe Reader to view a more complex PDF that just isn’t working properly in other PDF readers. There’s a reason Chrome’s in-browser PDF reader prompts users to open (or download) Adobe Reader in some cases. You will see that Adobe reader is continually enhancing it’s reader so that it can support new technology and file systems. Icecream PDF Converter is capable of conversion both to and from PDF format. The range of supported input and output formats is pretty impressive: DOC, DOCX, ODT, XLS, XLSX, ODS, HTML, HTM, TIFF, JPG, BMP, PNG, GIF, EPUB, MOBI, FB2, EPS, and WMF. Although the program offers multiple advanced features for the most flawless conversion, it is extremely comfortable in use thanks to its user-friendly interface that is available in over 20 languages (and counting). 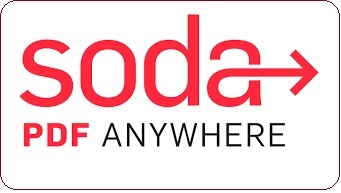 SodaPDF is a whole suite of tools for successful work with files of PDF format. Since it works only with PDF added, users can convert PDF documents to other formats, but conversion to PDF is not supported. You can also turn PDF into Word, PowerPoint, Excel, HTML, TXT, images (PNG, JPEG, GIF, BMP, TIFF) and RTF. Before the conversion, you can easily select to convert all of the file’s pages, or if you want a range just the current page, the first page, the last page or page ranges. PDFMate PDF Converter Free is a converter that is quite easy to use with pretty limited and basic features. It is only capable of converting file from PDF to EPUB, TXT, JPG, HTML, SWF, and DOCX. The conversion process gives valid files, but right after every single conversion you receive an annoying message reminding you that you better upgrade the program to a PRO version. 7-PDF Maker is a software that converts files of many formats to PDF. Various office documents, images, math and Autocad files can be turned into PDFs with the help of this program with ease. The interface can’t be referred to as modern, but it does offer a necessary amount of settings for successful file processing. Though PDF’s were brought out to the market, with intent to unify all the existing formats. Over time, with digital age coming in with the advent of eBooks in ePub and Mobi files, PDF has become a lesser option when it comes to eBooks. We provide services of conversion of your text matters into enhanced lossless eBooks within a few clicks. Visit our site to know more.